Leaders in the organic food cycle, Multiple Organics sources high-quality, safe organic ingredients such as beans, nuts, seeds and dried fruit. They insist on strict quality standards and perform their own inspections with third-party food-scientist auditors. They also are SQF Level II certified, the highest food-safety certification an importer can achieve. 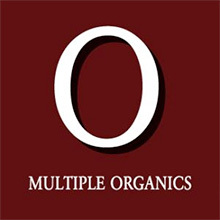 To remain ahead of increasing food-safety warnings, they developed a proprietary food-safety program called MOST™ (Multiple Organics Safety and Testing) as well.